Calling all home improvement enthusiasts: don’t miss the Omaha Home & Garden Expo at the CHI Health Center February 7-10, 2019. This will be the place to check out new trends for improving your home and landscape and get inspiration for spring projects. Whether you are looking for ways to completely remodel a part of your landscape or explore smaller creative additions, we’ll be ready to help. 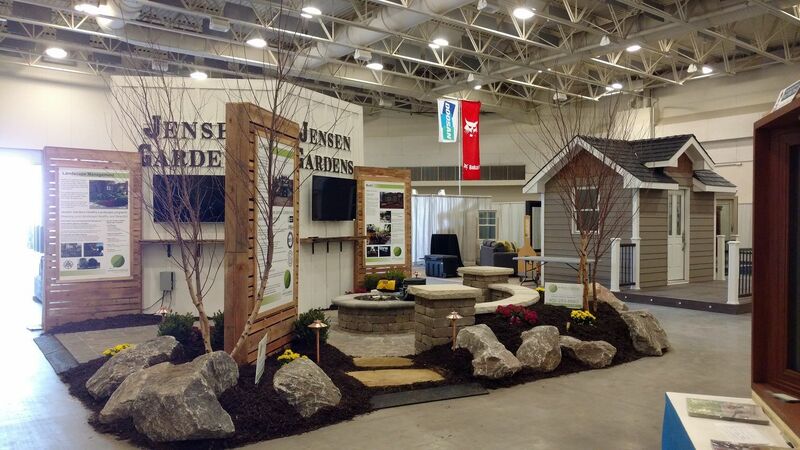 Visit us at Booth 800 to check out our feature garden and discuss landscape design, planting, and lighting. In addition to our garden display, there will be plenty of other vendors ready to lend their advice on DIY projects, room remodels, interior decorating trends, contractor services, and more. It’s like Pinterest in real life! Learn more here and buy tickets at the box office in the show lobby during show hours. You can get $1 off discounts when purchasing through Fareway Grocery Stores, Cox Solution Stores and Village Inn Restaurants. Children under 5 are free, so bring the whole family!